My brother and I dispute the facts. That is a fact. It is also a fact that we each honestly remember the events of our childhood differently. The phenomenon is common to siblings, I hear, probably because brothers are different people from the beginning and because their experiences—although ostensibly shared—are actually seen from subtly different views. Moreover, in the end it is not what happens but what we experience and what we remember that makes us who we are. I also have learned that the most vivid memories of humans are those that we have most inhabited and thus most renovated and—perhaps—reshaped from actuality to conform to an inner reality of our unique vision, our secret hopes, and our deepest desires. And then we forget that our own thinking created the images. Notwithstanding all that, it is a fact that we agree that we, two brothers, are always there in our recollections, disparate though they be—yet there always together. My very first memories are indeed of my brother—a red, wrinkled little old-looking man-child blanket-wrapped in my mother Audrey’s arms. His name is Dale Webster Matteson, and he reminds me a little already of the other old, but larger man I know: Theodore Noah Webster Moates, my Grandfather. We will call this little Webster “Baby Dale” for many years. My sister Cindy Lou is there, too, as is our Father Lew—her namesake, along with Mom. I have no memories that are B.D., “Before Dale”; there were many that follow, however. “Why is Mommy sitting in the back seat, Daddy?” I ask. I am not quite four years old; more precisely, I calculate that I must have been three years nine months. The tableau, however, is etched into my memory despite my youth. I have replayed the same scene often. The stage is our family car, a ’41 Ford, a venerable vehicle that my father nursed along until we finally sold it in the early sixties. We sold it to a car dealer so that he could push-start other younger but less reliable automobiles. It is the memorable and moveable stage of so many dramas. The dramatis personae comprise my family, the casting just now complete. The script is a simple story; the scene a homecoming for my mother and a new sibling. For years afterward, I thought in some vague way that the origin of siblings was a place called “Providence” (Hospital, that is) where your parents went to pick out a baby, much like picking out shoes at Gayfer’s Department Store or at Buster Brown’s. Some early nights I am sure I wanted to send him back, but he was in my home to stay. From that moment onward he became part of my life and of the context of who I was. His arrival turned me instantly and forever into his big brother. He, fifty years later and no longer a “little” brother, is now a giant man who towers over me, a mature father whose features confirm my first impression of him as the “spittin’” image of our grandfather. Dale tells me that I was indeed always “big brother” to him. He reminds me of the time he fell out of the tree. We agree that I loved climbing trees and regularly conquered green turpentined towers. We concur that whatever I, his big brother, did then he must also do, as my little brother, like my tiny mirrored image I saw on the back of a soup spoon that mimicked my every move. 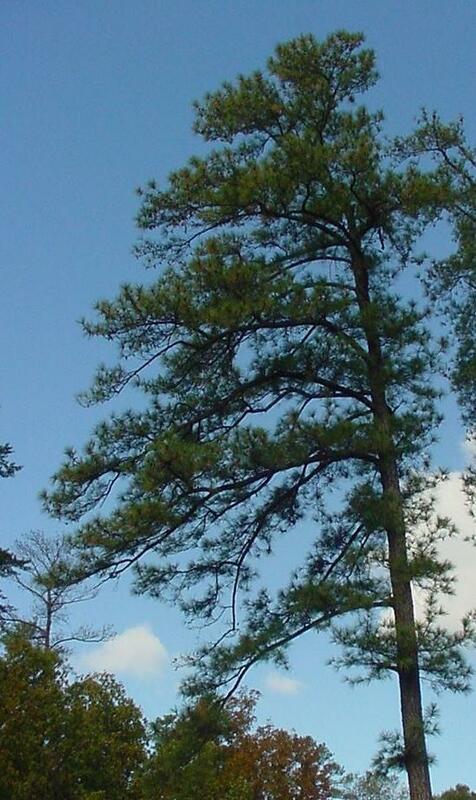 My latest conquest had been a twisted, forking loblolly pine that soared from the woods. Thus, he must climb it too. When I was distracted he began his ascent. Dale reached a notch high up in the branches near the top before I noticed he was gone. He continued his upward climb without incident until he stepped into the vee of the fork to purchase a foothold for his step up to the next perch. The tree in reprisal for his intrusion grasped his shoe in a wedging notch-vise. His foot got stuck, dogged down as on an anvil waiting the hammer blow! Dale struggled mightily but could not free his foot; he lost his balance; he tumbled backwards; then he stopped; he hung upside down, dangling by one leg, thirty or more feet in the air. I heard him cry out for help. As I rushed to get a clear view of him, I stifled a shameful chuckle at his comic predicament; then his laced leather shoe released its grip on his foot, and he fell. He crashed into the first limb, then cart-wheeled into the next lower branch, and the next, falling by stages, cascading by degrees. I watched with my mouth open, helpless. He reminded me of a human pinwheel in a fickle wind blowing first one direction then another. At the bottom limb of the tree, his descent halted briefly. His suspenders had caught on a bough. He hung, momentarily oscillating elastically, a few feet above the brambles, just before they gave way and he crashed the last increment to the ground. He remembers the pain, the scratches, the broken clavicle; I remember only the vision of his fall. Dale tells me that I became angry at him later because our mother blamed me for his accident. “If y’all hadn’t climbed that tree, he wouldn’t’ve tried climbing the same tree ‘n he wouldn’t’ve fallen,” she explained in faultless parental logic. “Now, go back into the woods and fetch your brother’s shoe from up in that infernal tree.” This I do not remember, but it sounds like an accurate account. There were many other scrapes and bumps and bruises I do recall in our growing up; the fall was only one. Once our cousins from Dothan, Margaret Ann and Nelson, were visiting us when we had the inspiration to dig a hole and completely bury someone alive, or at least up to the waist. From whence such preposterous ideas spring into the juvenile brain, I do not know or have chosen to forget, but in the liberty of unsupervised child’s play such delightful and inspired mischief is inevitable. Nevertheless, we did, indeed, dig a hole and half-bury someone. Here Dale’s worldview and mine diverge. Each of us claims: “What are you thinking? I was the one we buried! Not you!” No matter what he claims, I distinctly recall the sensation of the damp sandy earth pressing in on my kneeling legs and lower abdomen. I see my cousins dancing around me in glee at the spectacle of a semi-subterranean boy. Then I feel again the pain as the shovel cuts into my big toe when Margaret Ann, after a half hour of fun, tries to dig me up from behind with a stab of the shovel. I remember leaping from the ground trailing sandy loam and blood behind me. Margaret Ann remembers it too. It must be so. I am sure. Dale recalls it differently, though. He avers that it was he that was buried and cousin-butchered. I insist it was I who was injured. Maybe it’s the spoon again. Empathy is a powerful emotion; by it sometimes we mirror hurts and emotions so faithfully that they become our own, only distorted. Empathy then can produce unexpected effects—shared memories that are vivid but faulted, for one. I feel it so strongly that I must be right. Yet, he makes me doubt myself, since he just as strongly recalls it—but differently. And he was witness, too. On that we agree. Later in our lives we shared other pain that we agree was his, but of which we do not often speak. There was one great hurt that could not be repaired with stitches or iodine or aspirin. I see my brother as a young husband, married less than a decade, sitting in my living room in an agony of heartbreak. His wife had demanded that he move out. “She wants her freedom—without me,” he tells me. He who had faithfully provided for and loved his spouse is injured as surely as if he had again fallen from a great height into sharp, hateful brambles. I am glad he can come to my home for refuge. I hurt for his pain. I also hurt for my powerlessness; I am big brother, the protector, the one who made all things right, the retriever of shoes, and I am without means to do anything to assuage his agony; I have no balm to heal his wounds. I have no remedy for his pain. We can only weep together. In the end, he went on. His life has turned out better than I or he have had a right to expect. He later met and married a wonderful woman; together they reared a family of boys and are happier than he could have ever thought possible. Recalling the evening that he sat crushed in my living room, I have wondered if—just maybe—without the pain we do not understand the joy. But I have not really earned the right to have an opinion, for I only have the memories of a spectator; his are those of the actor. At our mother’s funeral, her children traded stories and shared memories. Cindy recalled the story of the subterranean brother much as I did. Dale laughed and smiled a crooked smile, “You two! You may have the memories, but I have the scars.” Cindy and I looked at each other. Then, we simultaneously laughed. What really happened? We will never actually know. But it matters little; the memories are what matter; the memories are what shape us. The narrative of the childhood that he each carries behind his eyes is what shapes the story of his life. Memories of those stories that he wields like a hammer are what forge his being into its uniquely shaped self on the anvil of his past. Each is he who is the author of his own tale and who is simultaneously its tireless reader, reciting to his own internal ears his story’s significance and meaning, even if the details differ from the irrelevant recollections of all the others in the world. Black holes only tell the magic…not the deeper magic CS Lewis referred to in The Lion, the Witch and the Wardrobe…That part of the tale is still to come….All that light will return.